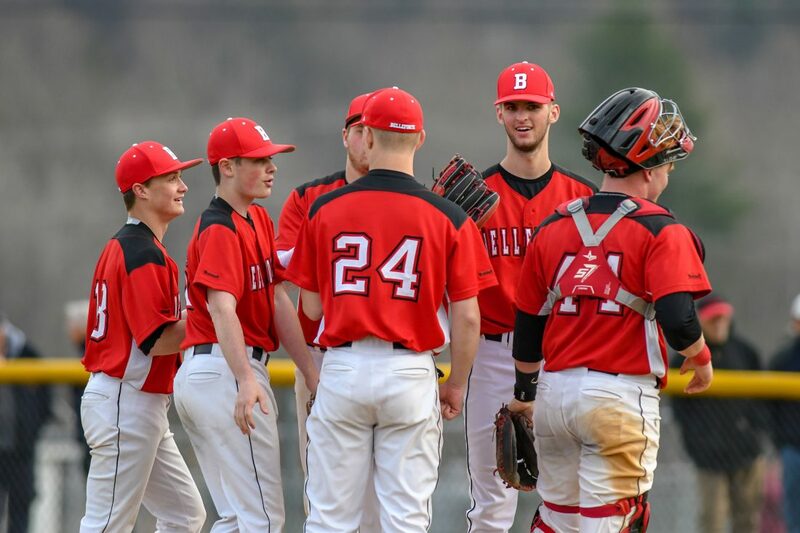 (TIM WEIGHT/FOR THE EXPRESS) The Bellefonte baseball team infield is all smiles as they huddle on the pitcher’s mound Thursday against Bald Eagle Area. Bellefonte won the game, 16-1. 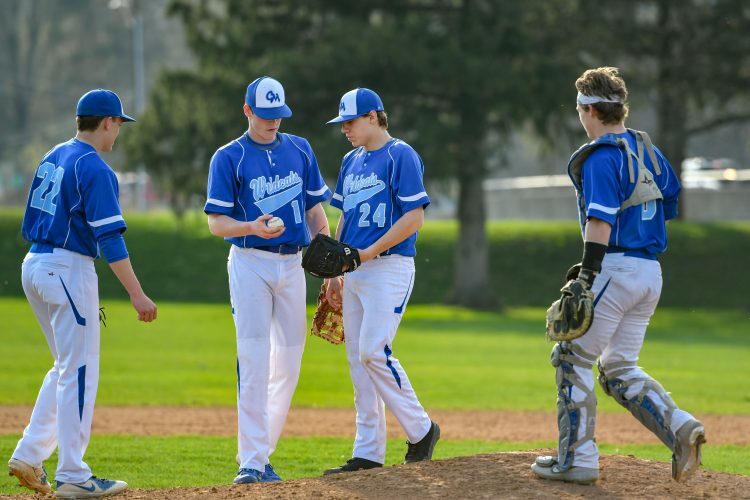 WINGATE — Regardless of the records of the teams, or where the games were played, when Bellefonte and Bald Eagle Area met on the baseball diamond, many times the games were tooth-and-nail battles right down to the final out. 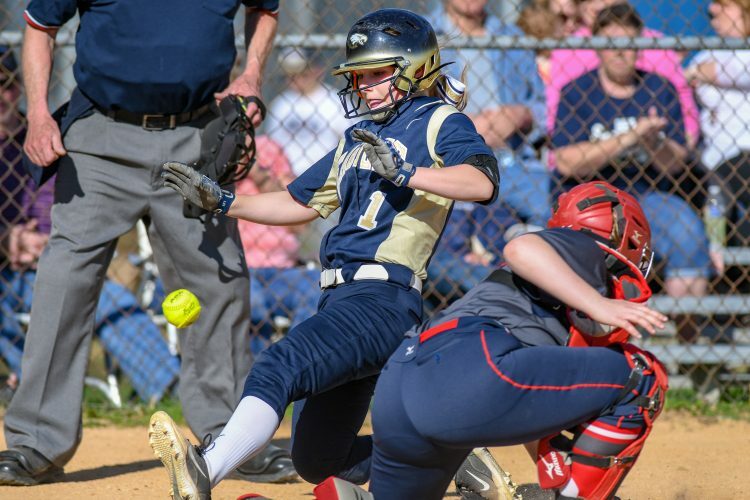 Unfortunately for BEA and fortunately for Bellefonte, Thursday afternoon’s game was not one of those hotly-contested battles as the Red Raiders were all over the Eagles for a 16-1 win, the game abbreviated after five innings by the mercy rule. After his team’s first three games, Clark likes what he has seen from his troops. 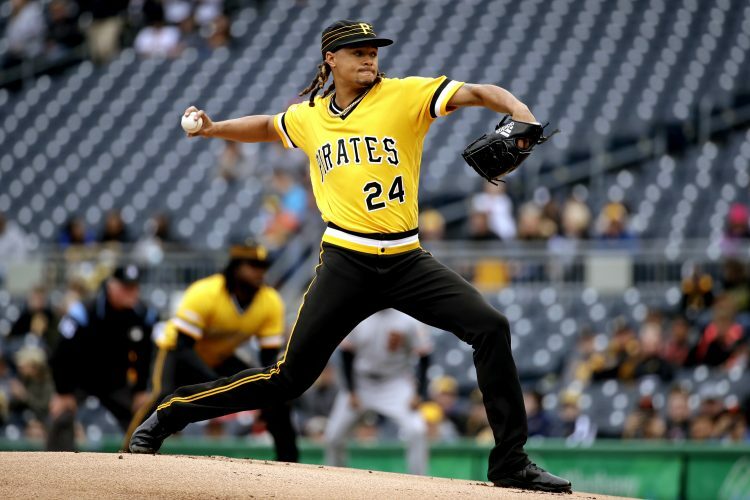 The Raiders asserted themselves early in the game as they put a crooked number “8” on the board in the second inning before adding a crooked “7” in the fourth en route to the lopsided win. 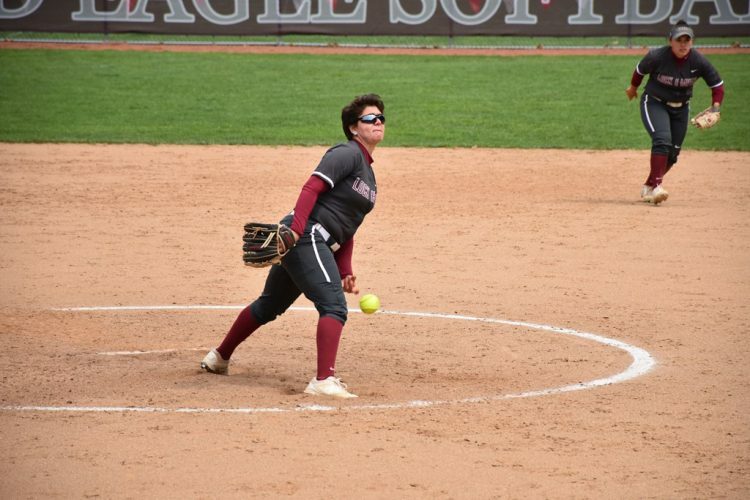 Wildness on the part of the BEA pitchers was the biggest factor in the game as the Raiders were the recipients of no less than twelve free passes in the five innings. Seemingly at a loss for words to describe what the problem is with his hurlers, veteran BEA coach Jim Gardner was frustrated following the game. If there was one bright spot in the game for the Eagles it was that they played error-less baseball. While the BEA pitchers had more than their share of problems locating the strike zone, Bellefonte righthander Derek Fravel didn’t seem to have the same problem as the freshman worked the first four innings, allowing just one run on five hits, walking four while striking out five. The Raiders rapped out ten hits in the win with C. J. Funk leading the way. Funk went 3-for-4 at the dish with a double, driving in three runs while scoring a pair himself. 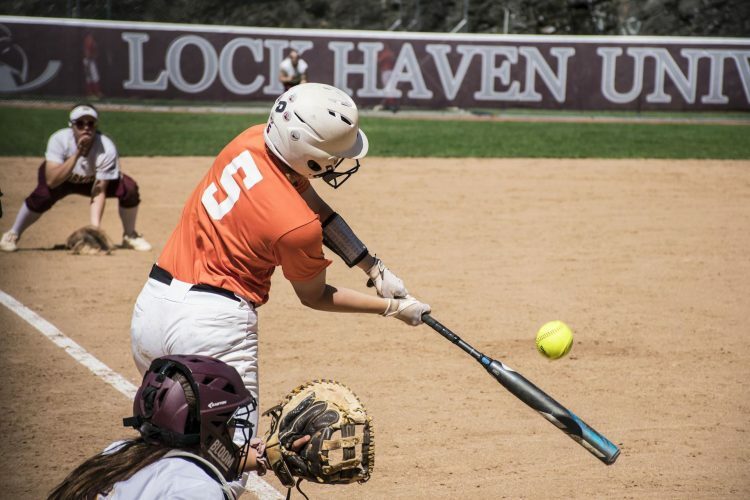 For BEA, Jaden Jones and Matt Reese each had a pair of hits, one of Reese’s was a double. Derek Fravel, Bobby Marsh (5) and Colton Burd. Tyler Hilgar, Tommy Snyder (2) and Caleb Burns. WP: Fravel. LP: Hilgar. 2B: C.J. Funk (B) 1, Bobby Marsh (B) 1, C J. Lauck (B) 2, Colton Burd (B) 1. Matt Reese (BEA) 1. SF: Fravel (B) 1. Double Plays: BEA 2.